This is a manifesto for every man and every woman who recognizes their own right to Divine Kingship, those who recognize themselves to be Stars. The aim is the complete establishment of the Kingdom of Ra-Hoor-Khuit upon earth. That is, the permeating and infiltration of all facets of life with the sublime Word of Thelema. This is the establishment of Life, Liberty, Love, and Light in the hearts of all men. Let our actions not be out of regret, pity, malice, envy, jealousy, weariness, hate, or sorrow. The proper spirit of this revolution is an overflowing of joy and strength. See all obstacles, all threats, all intimidations, all criticisms as chances to Grow and exert your Will. Life is a joyous battlefield wherein We Soldiers of Horus rejoice in conflict and strife. Could the artist’s statue be created and perfected without chiseling away the dross? The knight-monks – the prince-priests and the hermit-soldiers – are the body of Ra-Hoor-Khuit’s Army. They are not the cloistered and emasculated hermits of old. Although we too attain to the truth of Mystic Solitude wherein All is One and we proclaim, “I am alone: there is no God where I am” (AL II:23), we immerse ourselves into the fecundity of the world instead of retreating therefrom. Work your jobs, do your duties, raise your children, laugh with friends, but let all these things, from the most important to the most trivial, be to the Glory of Ra-Hoor-Khuit! Express your overflow of joy and beauty with fine robes, wine, headdresses, or whatever you will. Feel no regret, guilt, or shame in your reckless expression of being Drunk with the Glory of Ra-Hoor-Khuit! Every man, woman, and child who consciously accepts the word of the Law, “Do what thou wilt,” is certainly a warrior in the Army of Ra-Hoor-Khuit. Simply by existing and enacting the Law of Thelema in every circumstance, the stars of Force & Fire (each one of you) will spread the Law by their own example. We must see the sublime beauty in Thelema’s answers to the conundrums of ethics, reasons, and metaphysics. Therefore must we constantly study the Holy Books of Thelema, especially Liber AL vel Legis, the Book of the Law. The most important thing is to exude your overflow of strength, beauty, force and fire in a natural way. Do what thou wilt and let all around you see the joy you have in doing so! One must make Thelema the center of one’s life, the locus of all meaning and motion. We may remind ourselves through rituals and feasts of all sorts. But a truly effective Warrior of Life & Light must be strong and healthy in both mind and body. Every warrior of Ra-Hoor-Khuit needs to exert themselves physically and mentally. We have no room for arm-chair dwellers who manipulate intellectual facts endlessly. Therefore every person should have a fair amount of physical exertion throughout their days. Your Kaaba, your starry heart and essence of consciousness, must be established within a mind of great power and conciseness, arranged like a business with orderliness and detachment. Therefore practice meditation to make the mind a perfect instrument of the Will: perfect the skills of concentration and nonattachment. Exercise your body and your mind with diligence but always strive unto higher goals and ideals. Never tire of competition and exceeding your own perceived limits. Every person must be a pyramid: flawless from base to apex, sufficient unto themselves. Yet each Star is part of the Body of Infinite Space. Therefore make friends and enemies as ye will. Our attitude to one another must be one of great respect like the chivalry from the West or bushido from the East. Thrill with the joy of vigorous competition and conflict yet always out of overflow of Will, strength, beauty, love, and rapture. Therefore do not cover yourself to mask your true brilliance. Let the Sun of your Will shine effulgently on all things: care not that it will inevitably nourish some and destroy others. 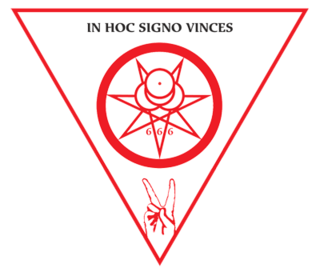 Therefore make camps and lodges and groups and propagate the Spirit of Freedom, enshrined in the Word of the Law: Thelema. This is really beautiful and inspiring, and an attitude I would like to see become more and more common among Thelemites. How does one spread wealth among himself? Reminds me of a Confucian attitude, without discussion of the duties required therewith. 93 – There are similarities between Thelema and virtually every philosophy & religion ever if you look for them. Thanks for reading. 93 – many thanks for sharing ! 93 – “They are MOST CERTAINLY not the cloistered and emasculated hermits of old.” *Smiles. Is this a holy book? I’ve read it many times but, I’m not sure of the source and haven’t been successful finding it online under the title “THE MANIFESTO OF RA-HOOR-KHUIT”. Thanks. 93 – That matters what you define “holy book” as… But it is not a Holy Book of Thelema written by Aleister Crowley, though, no. As long as Thelemites are for less freedom than more, and remove their own teeth when a wolf strikes, I doubt it very much we are going to end up with anything even closely approaching Thelema. Just a hipper version of Christian sheep. Reblogged this on Manő – Luča.